Member of the Arizona Enneagram association and a certified ICF practitioner. Author of The Undivided Self and the Truth And Dare Empowerment Coaching Curriculum for Teens. Dulce helps leaders develop the mindset and skills they need to level up and live a life they love. As a Certified Life Coach and Hypnotherapist, she partners the conscious and subconscious to develop a plan that supports you in leading your life. Services: Online Courses and Workbooks, Group Guided Meditations for Stress Reduction, Individual Coaching and Hypnosis Sessions, Public Motivational Speaking and Empowerment Trainings. She also posts videos for the public on YouTube and IGTV. Evidential Medium, Angel Intuitive, Spiritual Mentor, Energetic Healer and Intuitive Life Coach. She receives messages from loved ones who have crossed over, as well as Angels and Life Guides. During readings Michelle is divinely guided by the client's Spirit Team to lovingly empower, direct and provide comfort and hope for each individual. Michelle is known for giving factual information, personality traits, characteristics, and validations of signs that your loved ones are sending you. She helps each person she reads to raise their vibration, clear their energy and understand that they are not living life alone. Each of us have a Spirit Team that consist of love ones, Angels and Life Guides who are constantly helping us from the other side. Born in Sandusky, Ohio, Jamie had signs early in life that he would someday be helping people with his remarkable talents. With the guidance of his mother, Elaine, also a gifted medium, they began to research and explore the depth of Jamie’s emerging talents. Through years of studying and a series of profound revelations, Jamie discovered that he had the gift of psychic intuition and could also communicate messages and feelings between people living and those who have left this physical plane of existence. Now, with thousands of powerful connections made worldwide and years of experience as his guide, Jamie offers this healing phenomenon to those who need it most; people searching for life direction and guidance, as well as those seeking answers and closure from family and friends that have passed. Maggie has been a student of Tarot, Metaphysics and the Healing Arts since 1994. She apprenticed with a Professional Astrologer, Tarot Reader, and Karmic Counselor for sixteen years. During her studies she gained an in-depth understanding and relationship to many spiritual concepts and belief systems. She has a truly inspirational teaching style and is very encouraging with anyone’s studies. Maggie’s contagious enthusiasm, zest for life and compassionate nature allows her to be an amazing Spiritual Coach and Spiritual Teacher. Maggie is committed to helping people find a way to blend their spiritual life with their everyday life for empowerment, healing, and growth. Kate is a 500ERYT, YACEP, with certifications in Hatha Yoga, Phoenix Rising Yoga Therapy, I AM Yoga TherapyTM, Yoga Nidra, and Advanced Yoga Nidra. She is a Reiki Master Teacher and a certified Mind, Body, Spirit Practitioner. She lead teaches in the 200hr Yoga Teacher Training and Advanced Yoga Teacher Training at The Southwest Institute of Healing Arts in Tempe, AZ. She teaches the Transformational Yoga Coaching program and assists in the Yoga Body Psychology training, both also at SWIHA. She has a B.S. in Marketing from the W.P. Carey School of Business at Arizona State University. Kate's personal journey of healing from complex trauma fuels her deep passion for working with people diagnosed with PTSD, anxiety, depression, fatigue, chronic pain, high stress, tension, and near-death experiences. She uses integrative practices to show them how to reconnect to the peace in their heart, find their strength to feel fully alive, develop the faith to build a life they love, and live as the radiant light they were created to be. James is a published author and a graduate of the award-winning Southwest Institute of Healing Arts. Through SWIHA, James earned his AOS in Transformational Mind/Body Psychology and specializes as a Master Life Coach, Hypnotherapy Practitioner, and Spiritual Guide for total wellness. In December, 2011 he took another step by becoming an ordained minister through the Universal Brotherhood Movement, Inc.; adding Reverend to his list of growing titles. In 2016, he added a Yoga Teacher Training certificate from Spirit of Yoga in Tempe, AZ. In 2017, James completed his personal training certification through the National Academy of Sports Medicine (NASM). Finally, in 2019, James added one of his most life changing credentials as a Firewalking Instructor from the Firewalking Institute of Research & Education in Dallas, TX. James is in the business of IDENTITY. James, reaches into the deepest parts of the self that have been hidden by the masks, stories, excuses and fears which have held so many back from attaining their full potential and exposes the next best version of the self. He is a time investment expert and has a passion for structures and disciplines that support abundance and success. It’s “personal” training from the inside and out. It’s YOU, Version 2.0! Jennifer Emperador is a Trauma-Sensitive Practitioner and founder of Sol Discovery. She also serves as an EFT and Workshops & Group Facilitation instructor at The Southwest Institute of Healing Arts. She has taught several personal growth workshops and retreats and has served as a volunteer at a local woman’s recovery center. She has a Bachelor of Arts Degree in Sociology and is a certified Life Coach, 200 Hour Yoga Teacher, Yoga Nidra and Advanced Yoga Nidra, Clinical Hypnotherapist, Mindfulness Guided Imagery Facilitator, EFT Practitioner and Reiki Master. As a Trauma-Sensitive Practitioner she takes on a wholeness approach to healing trauma. By turning her own wounds into wisdom, she has helped her clients reclaim their lives through the integration of emotional regulation, yoga, energy work, hypnotherapy, sound healing, mindfulness and somatic psychotherapy techniques. Jennifer’s personal journey of healing from developmental and complex trauma has helped her create a different relationship with what has happened in the past. Her mantra, “I own my life” drives her deep passion for working with people who have experienced a similar journey of trauma, addictions, abusive relationships, eating disorders and feelings of low self-worth. Her heart-centered approach allows her clients to be fully seen so that they can finally recognize and appreciate their wholeness and live an empowered life. Services: Trance Healer, Medium, Psychic, Mentor, Teacher, Spiritual Guidance, Gold Christ Light Healing, Animal Communicator and Healer. Tina Escoto uses all of her abilities to help individuals open up their Spiritual Pandora’s Box. She uses her personal experiences with spirit to help people understand their own possibilities within guiding them on their own unique path. Martha Reed is your Metaphysician, Hypnotherapist and Counseling Alternative providing Intuitive Insights, Answers and Advice. She is often asked, "What is it that you do"? Putting it simply ... She help's people just like you, nationwide, overcome destructive habits, patterns and beliefs and really good things just happen from there! Evidential Medium, Psychic, & Energy Healer. She is known for her remarkable accuracy, integrity and compassionate delivery. Jane’s communications with those in the Spirit World are amazing as she brings forth detailed messages, validations of communication and memories of those who have crossed over reminding us that our soul is eternal and love never dies, bringing comfort and healing to those who are grieving. As a child she would know things about people and by age seven Jane had the most memorable communication with the Spirit World. Initially, Jane didn't understand her abilities. There weren't the resources that there are today. Over time, she learned how to control and develop her abilities which has given her remarkable insight in identifying others who were struggling and teaching them how to use their abilities with confidence. Her mission is to help heal and empower others. Financial Services Professional and a Certified Life Coach. Owner of The Leap to Transformation, LLC and Women Who Mean Business, LLC. I work with individuals and female entrepreneurs to guide and support them as they create abundance in their business and their lives. We create abundance from the inside out. We can also create multiple sources of income to sustain our business and our lifestyle when we focus on our goals. I help you align with your Authentic Self to create peace and wealth and release the blocks and doubts that are keeping you stuck. When we get out of our own way and allow the flow of creativity to manifest within us, we align with our purpose and the invisible side of success! Life does becomes a little easier, one step at a time. Michael Anthony graduated from the Southwest Institute of Healing Arts in 2011. He is a Certified Hypnotherapist as well as a Certified Master Life Coach and has training in energy modalities such as Polarity Therapy, Reiki Energy and spent a year studying with a Native American Kiowa Elder in Northern Arizona. Michael Anthony is an Intuitive Chanel and Coach who assists people to step into a life of empowerment and peace. Having worked with thousands of people, Michael Anthony has a unique skill to deeply connect with people as they step on their path of emotional and spiritual health. One part corporate and one part hippy, Michael Anthony is able to tune into the healthy balance of life. 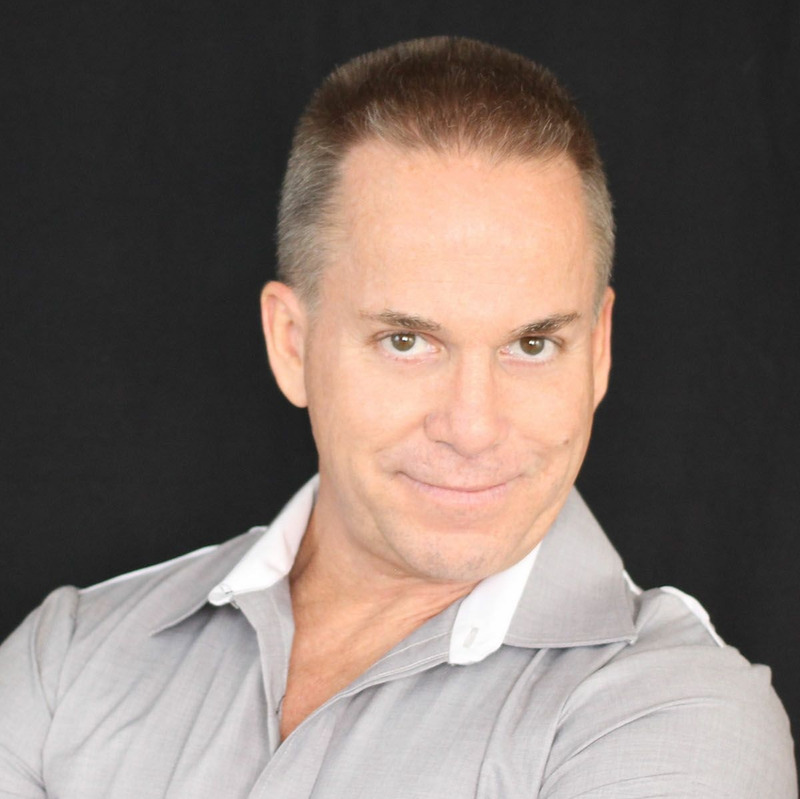 Michael Anthony helps individuals attain spiritual, emotional and physical health through a combination of Intuitive Coaching, Hypnotherapy and his very own unique MASmore Energy work. Julie was born and raised on a farm in Iowa so her passion for learning and consuming fresh whole foods started at a very early age. She has a deep passion for sharing her faith, hard work, exercise (two of her favorites are hiking and lifting weights), building and maintaining positive healthy relationships, family, and meditation. Julie has 15 years of experience as a sales and management professional prior to becoming a Nutrition Health Coach and fully understands the demands and stress of a fast-paced professional life. Julie has developed proven techniques for managing her professional life while making personal health and well being a top priority. Julie is on a mission to leading, educating, supporting and encouraging others to achieve their greatest potential in life. She will empower you to take responsibility for your overall health (mind, body, spirit).